An Okie weblog… OK, not so much a blog as it is a way of imposing my photographic results on an unsuspecting public. 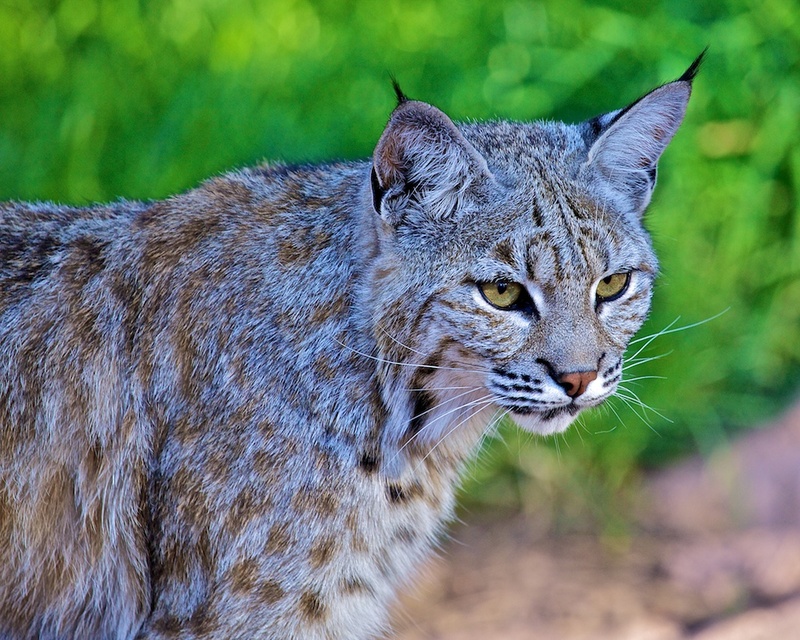 Bobcats, or wildcats, are very efficient nocturnal hunters. They prey on rabbits, squirrels and many other animals. Bobcats got their name from their shortened tail, which seems to have been lopped off. They have ears like their Canadian cousin, the Lynx. It is estimated that there are at least one million of them, found throughout the United States. This beautiful example was in a wildlife park outside of Williams, AZ. A beautiful portrait, Frank. What an intense stare!